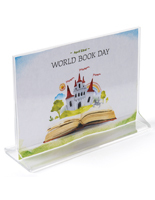 This acrylic sign frame, also known as a tabletop print holder, is often used in business offices and lobbies to keep visitors informed. 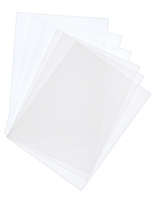 The 11" x 8.5" size is the same size as a standard piece of paper from an office printer. 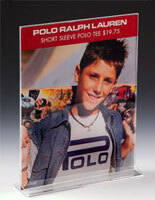 Use this acrylic sign frame that is clear to announce a sales event, or to promote a new product in a store. Paper slips in easily through the top and sides. 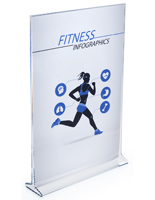 Change this acrylic sign frame in a matter of seconds with a print out straight from the printer. No need to pay a print shop or order special paper. 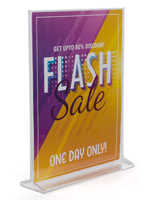 This acrylic sign frame is the ideal picture holder for a car dealership or travel agent that regularly displays large print advertisements within their establishment. 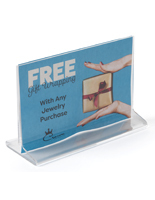 Place this clear picture holder near a register or checkout area within a store to entice shoppers with vibrant advertisement signage. 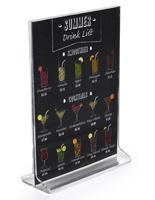 Another option offered with this signage display is silkscreen imprinting. 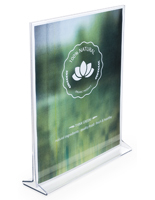 Personalize this acrylic sign frame with a company logo or catch-phrase on the base of the framing. 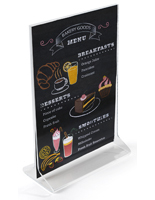 This acrylic sign frame is an effective marketing tool seen in many public and commercial environments. 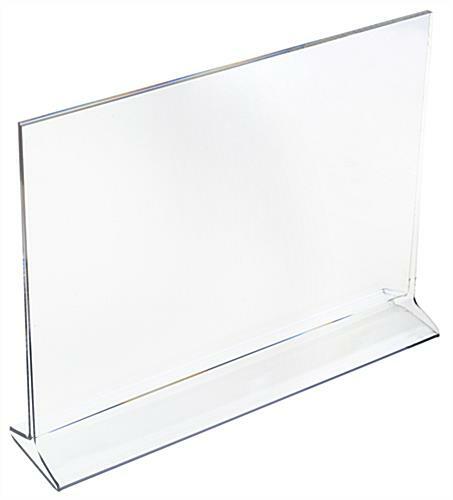 Was looking for a horizontal acrylic frame. So far it has been more sturdy than the other vertical frames that have to placed on the side. Plus it looks good too. Thanks for the excellent review, Brian! 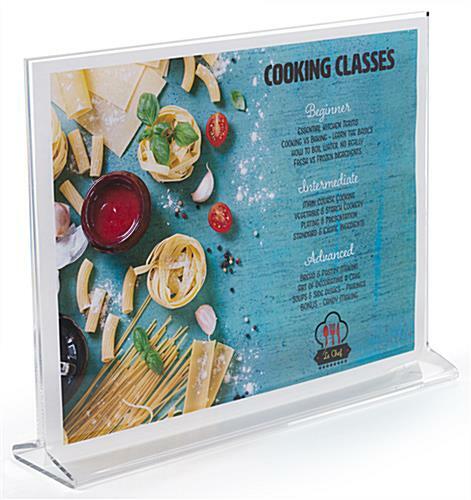 We're proud of our in-house manufactured Workshop Series of products, and we're glad that our horizontal acrylic frame was the perfect solution for your needs! We received these frames quickly. However, even though they are made of acrylic, that have sharp edges and my manager actually cut his finger handling the frame. Thought you should know. Compared to similar item from large office supply store, yours is twice the quality for half the price. Can't beat that! Very much appreciated Calvin, thanks for your business! I used this to hold our sign at an open house we attended. We set up booths and there wasn't a good place for a banner so I printed our logo and some graphics and it turned out very well! Thank you for your input, Connie. We are glad that you were happy with your order.